Life Lessons from Jack Kerouac. An Original Dude. Did I just coin an awesome phrase? Original Dude – O.D. Like O.G. – Original Gangsta? No, reminds you of overdose? Jack Kerouac’s On the Road and The Dharma Bums are two of the Dude’s favorite reads. Jack was on original dude. I’m sure the Big Labowski had Kerouac on his shelf. So I was psyched when I saw this list of 30 Beliefs and Techniques for Prose and Life by Mr. Kerouac on Brain Pickings. And the list does not disappoint. Great life lessons and classic Jack. 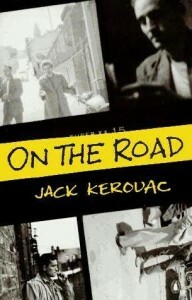 This entry was posted in Curration, Life Lessons and tagged Brain Pickings, Dude, Jack Kerouac, lessons, life. Bookmark the permalink.